I recently found myself in Garden Grove and was in search of a place for dinner. 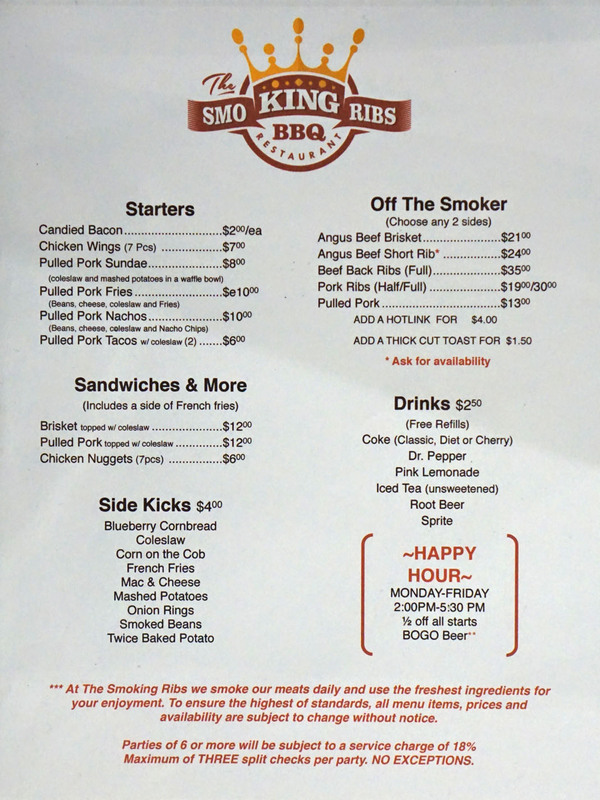 After taking a look at various choices in the area, I ended up checking out The Smoking Ribs, which was one of the more unexpected options that turned up. 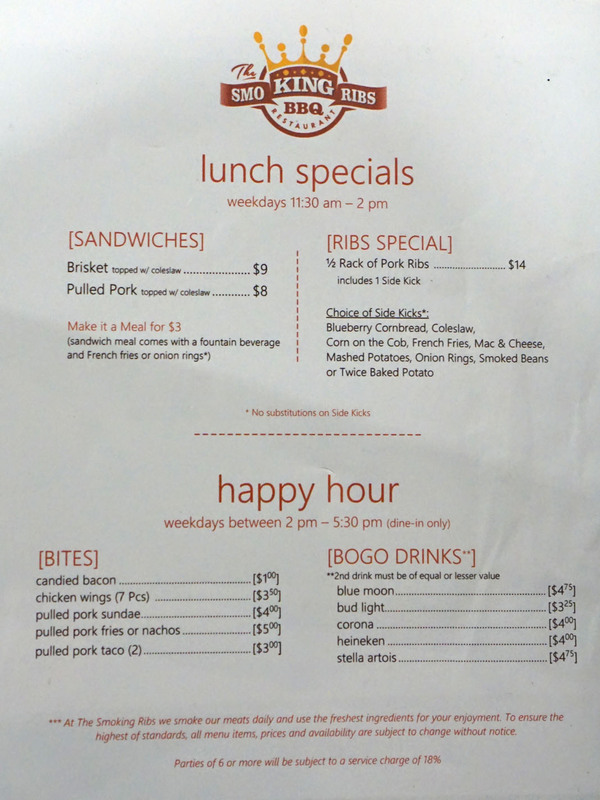 The non-regionally specific barbeque restaurant opened at the end of July 2015, and comes to us from Chef/Owner Kenny Tran. A SoCal native, Tran was born in 1976 and grew up in Norwalk. He first got interested in meat cookery at the age of 14, after a chance visit to Food4Less with his mom to pick up some beef ribs. After finishing up his studies at Ontario High School, Tran enrolled at CSU Fullerton, majoring in communication, and subsequently worked in engineering. He branched out from backyard grilling to smoking circa 1999 (he liked the more relaxed nature of BBQ), starting with chicken, and eventually was instructed by well-regarded pit master Harry Soo. 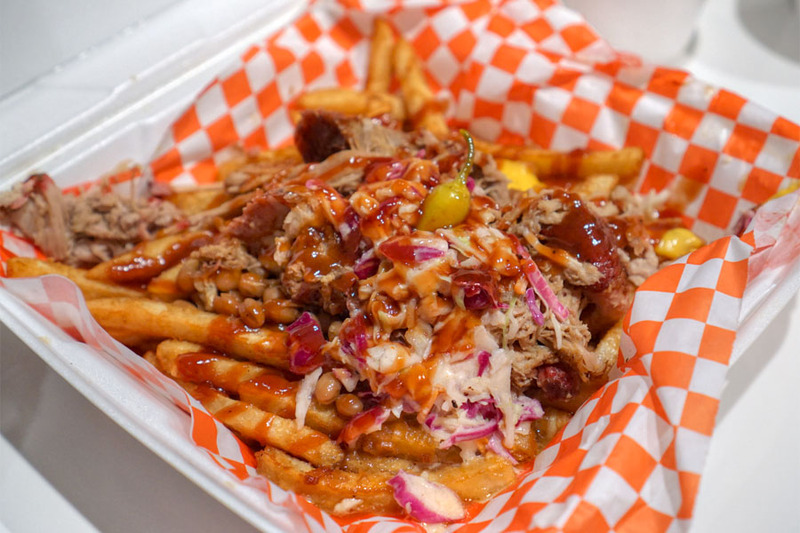 In 2010, he founded a catering company called Bolsa Barbeque, which led to competitions, and later to the establishment of this permanent location. The restaurant's located in a Little Saigon strip mall in a spot that previously held Hai Yen and A Hong-Phat. The 40-seat space boasts a convivial atmosphere, as well as a clear view of the kitchen and smoker, which is apparently fired with a combination of hickory, cherry, and apple wood. 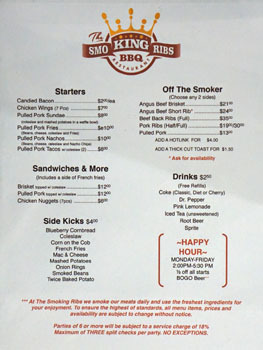 The menu follows your typical BBQ layout, with meats in various formats joined by a number of sides (which ostensibly reflect Tran's time spent at local cooking school Academy of Art Culinaire). 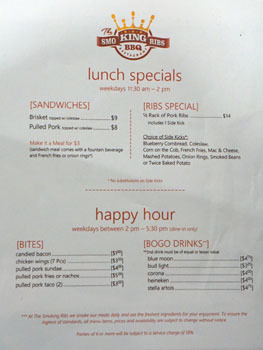 There are also separate lunch and happy hour offerings, and of course catering is an option as well. 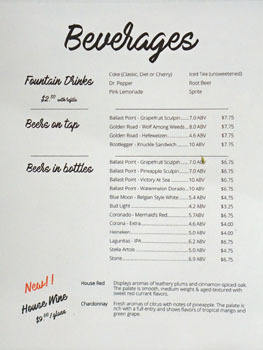 Drink-wise, you'll find a reasonable selection of beer and a couple not-be-to-named wines. Click for larger versions. 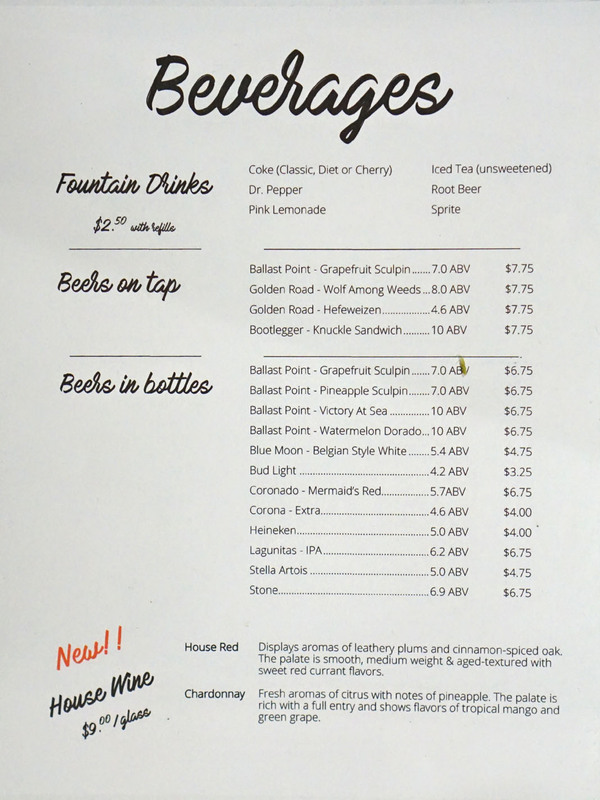 We ended up taking the food to-go, and so I opened up a few beers that I had on me. 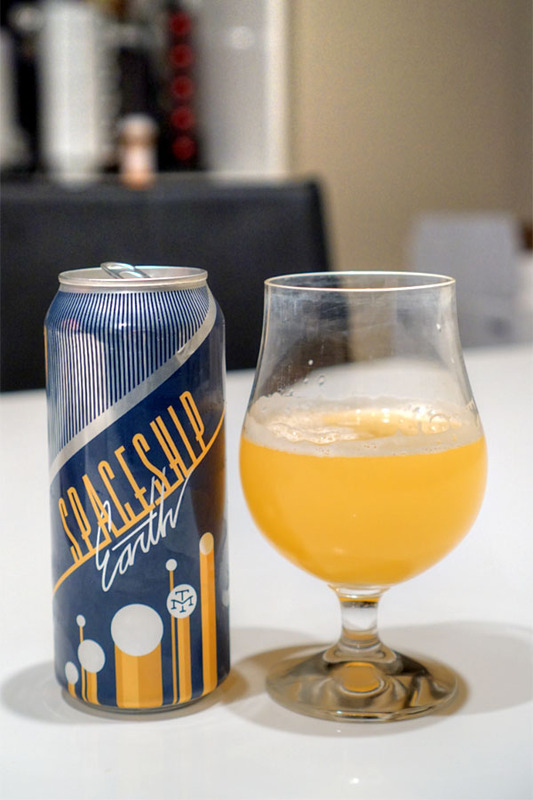 Up first was the 2017 Modern Times Spaceship Earth, a hazy pale ale hopped with Centennial, Citra, Simcoe, Amarillo, and Denali. It smelled promising, with lots of zesty orange notes alongside citrus pith. The taste, though, was on the bitter, astringent side, with a slight bit of funk and very little juiciness or tropical fruit. 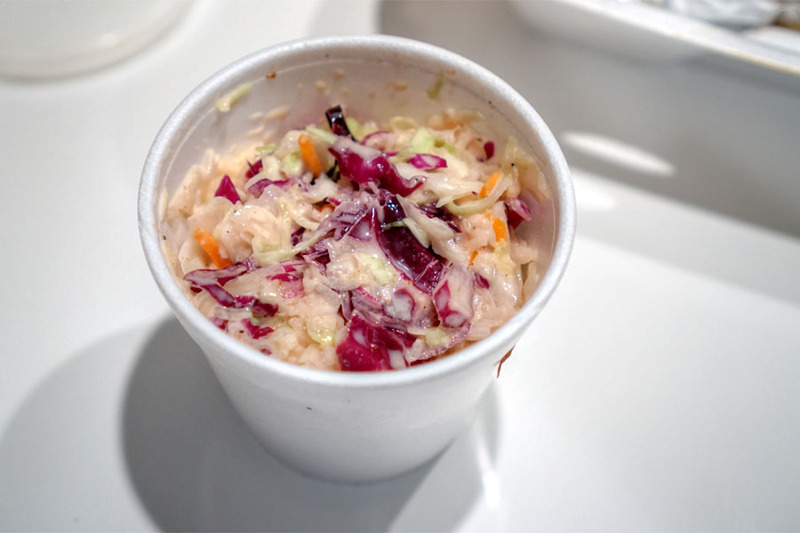 The slaw was pretty much spot on: a good balance of creamy and tangy, with a nice crispness on the cabbage. 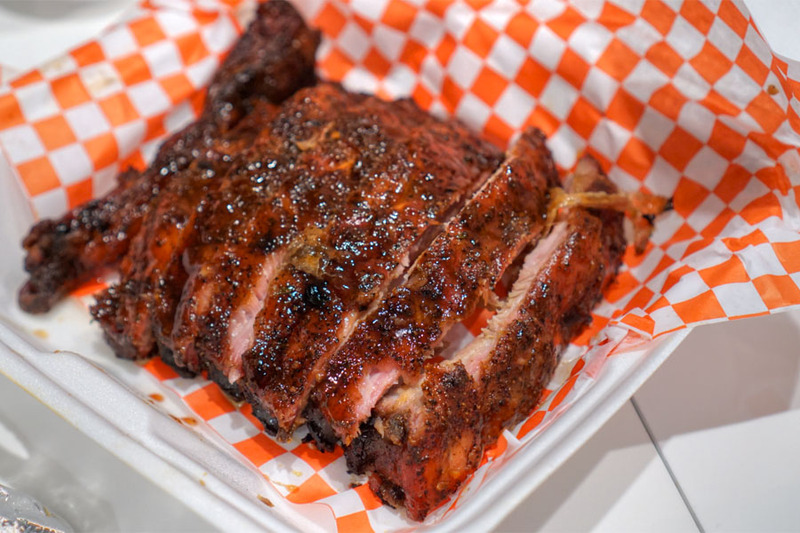 Pork ribs were supple yet at the same time showed off a slight chew, with the meat tearing cleanly--but not too easily--off the bone. Flavors were porky with a slight sweetness and caramelization, along with a relatively light amount of smoke. Additional saucing wasn't necessary, thought a dip into Tran's standard, tangy, not-too-sweet condiment didn't hurt. 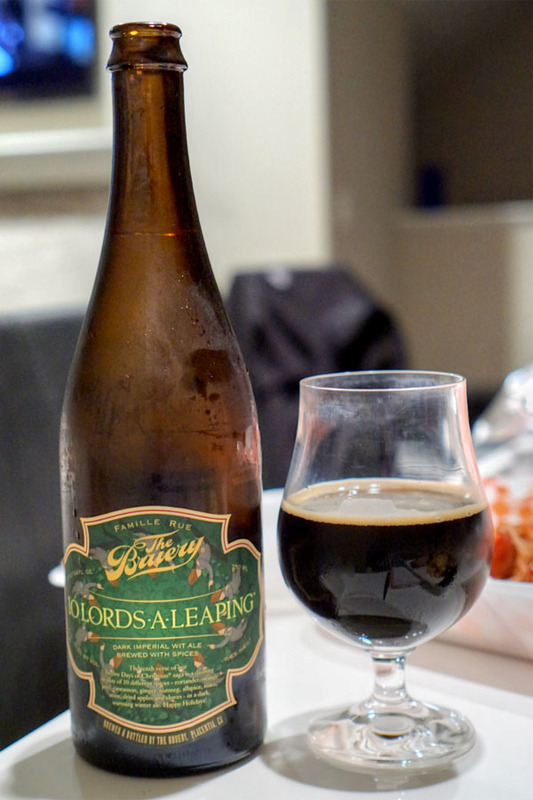 The second beer was the 2017 The Bruery 10 Lords-A-Leaping, a winter warmer-inspired dark imperial witbier brewed with 10 spices: coriander, orange peel, cinnamon, ginger, nutmeg, allspice, mace, anise, dried apples, and cloves. Nose of light malt, yeast, and dark fruit commingled with an indiscernible spiciness. The taste was malt-forward and a touch boozy, and had a zesty, baking spice sort of character throughout. 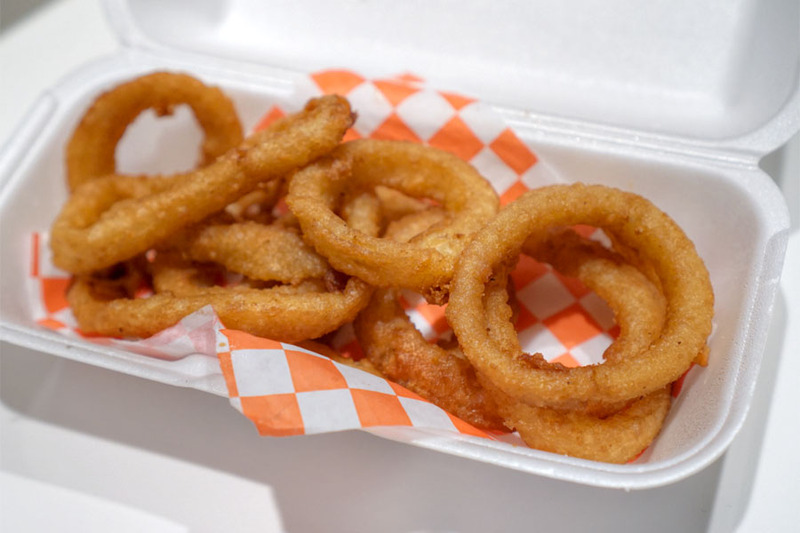 Onion rings could've definitely stood to be crispier. They delivered taste-wise though, with the sweetness of the onion really shining. Pulled pork came in fries form, and wasn't as good as I was expecting. The pork itself ate tender and generally satisfying. However, there was just far too much sweetness present, both from the sauce and the beans--the actual meat was a bit lost in there. The cheese didn't seem quite necessary either, though I did appreciate the contrast provided by the slaw. 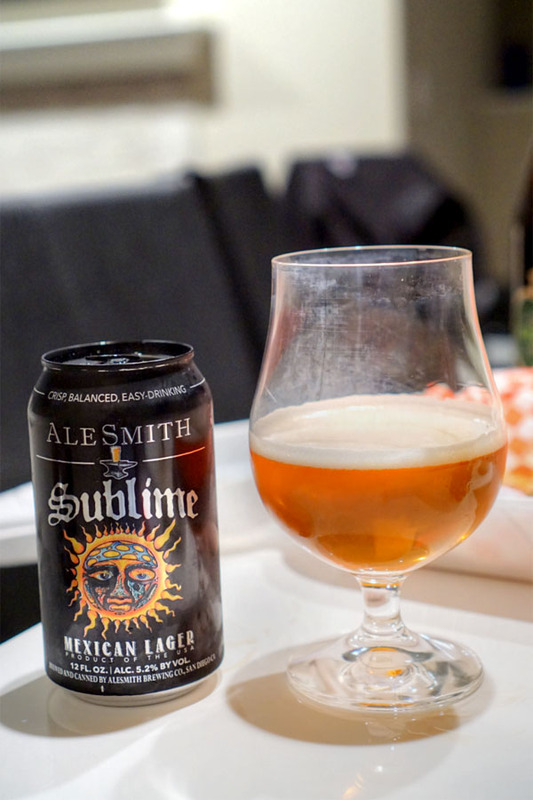 The 2017 AleSmith Sublime Mexican Lager was created in collaboration with the band Sublime. This one definitely smelled sweet, corn-y, almost candied. The palate followed, with lots of sugary, grainy, and malty flavors and virtually no hops in a surprisingly viscous package. A bit trashy overall, which I'm sure is what was intended. 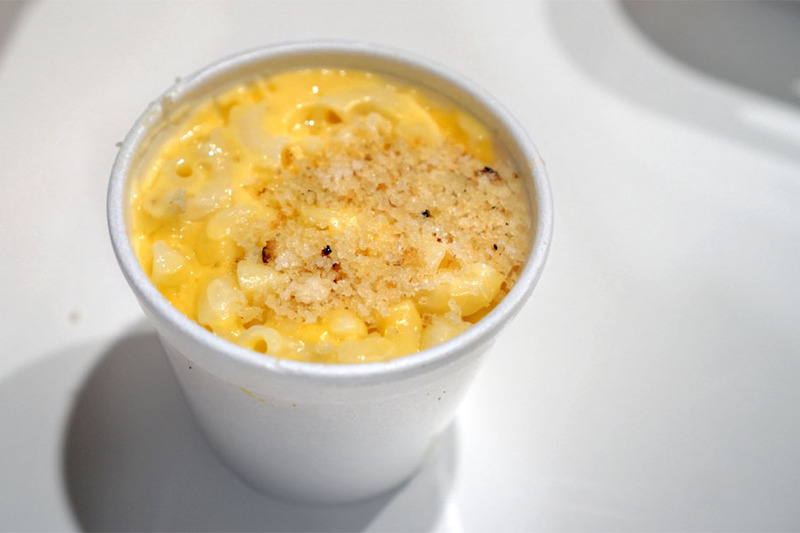 Tran's macaroni and cheese was a winner, and my favorite of the sides. Think slick, creamy, with a lovely cheesiness and some well-placed crispy bits up top. 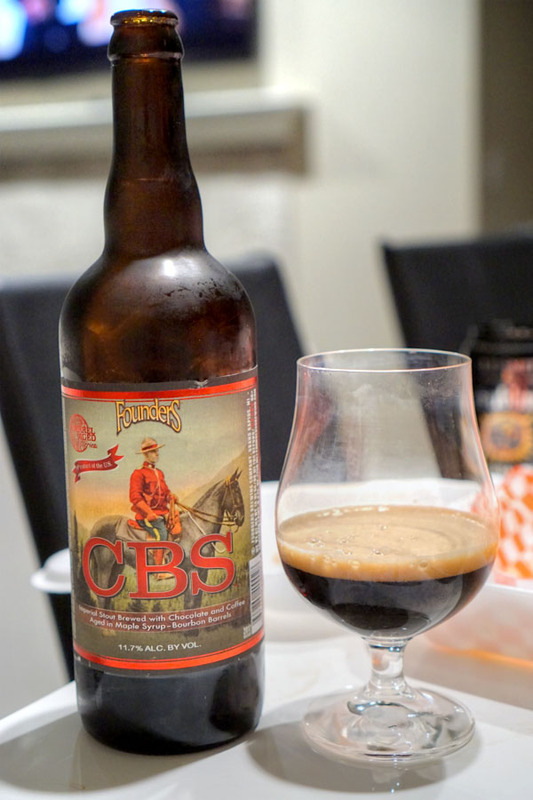 Our final beer was the 2017 Founders CBS (Canadian Breakfast Stout), an imperial stout brewed with chocolate and coffee, then aged in maple syrup-enriched bourbon barrels. Aromas of cocoa powder, brown sugar, subdued coffee, and berry fruit. On the palate, I got a good amount of chocolate and smoke, as well as an overarching coffee astringency and roast, but surprisingly little maple. Not as good as I thought it'd be given all the hype surrounding the beer. Beef ribs had a gratifying bite to 'em, but were still quite tender, while flavors were centered on pure, unmitigated beefiness with a dosing of smoke. Again, additional saucing wasn't necessary, but I did enjoy the meat with Tran's surprisingly spicy habanero sauce. 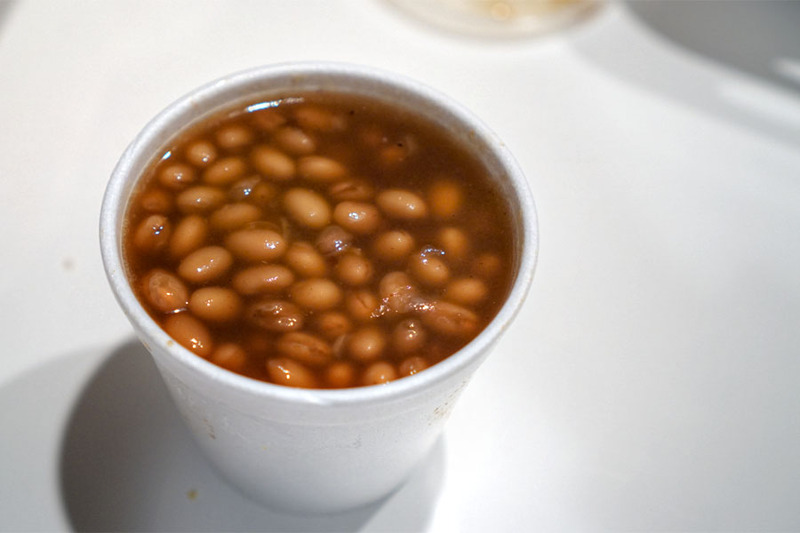 Beans were well-textured, though waaay too sweet for my tastes. I got virtually none of the advertised smoke. W. L. Weller Special Reserve - Soft nose of cedar wood, salt water, and caramel, but virtually no heat. The palate was on the vegetal, smoky side, with an herbal element, while the finish was unexpectedly brief. Old Weller Antique - Initially this didn't smell like much, with just a bit of nuttiness and floral character as you really got your nose in there. Taste-wise, it was pretty assertive, with orange oil and spice box at the forefront. The finish was abbreviated though, and the whiskey failed to make much of an impression at first. With time though, the aromas opened up and I got tons of really appealing brown sugar. W. L. Weller 12 Year - Smelled mainly of caramel and orange zest, with a booziness underneath, and with time, aromas of vanilla and cherry really came through--nice. On the palate, I found it hot at first blush, but that quickly dissipated, giving me notes of citrus, nuts, and cherry toward the back end. 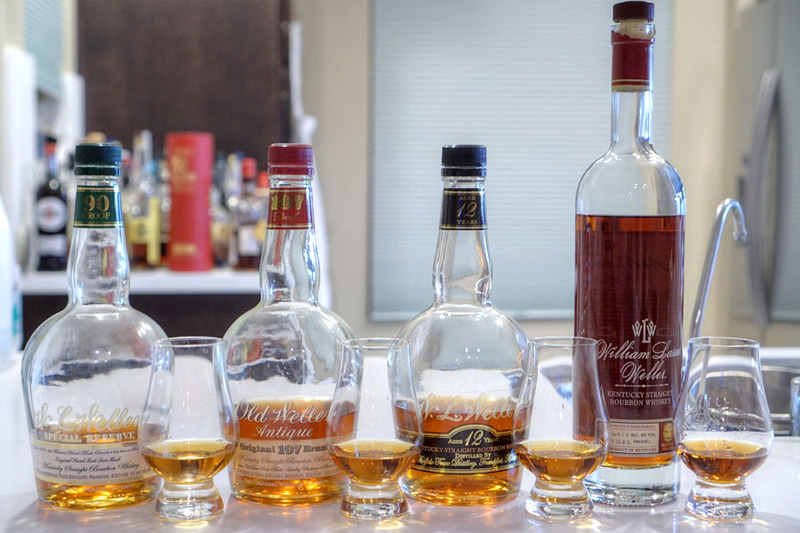 William LaRue Weller - An unfiltered barrel strength bourbon, this had the most refined nose, with hints of orange, flowers, caramel, heather, and wood. The taste was bracing and very, very spicy, with flavors of citrus zest, oak, and red fruit. I was pretty satisfied with the actual smoked meat here, though a couple of the other dishes could've used some adjustment. Another concern was that the restaurant had run out of eight menu items, many of which we tried to order: Angus Beef Brisket, Angus Beef Short Rib, Candied Bacon, Chicken Wings, Pulled Pork Sundae, Brisket Sandwich, Mashed Potatoes, Twice Baked Potato. I'm used to BBQ spots running out of a meat, but this was excessive. 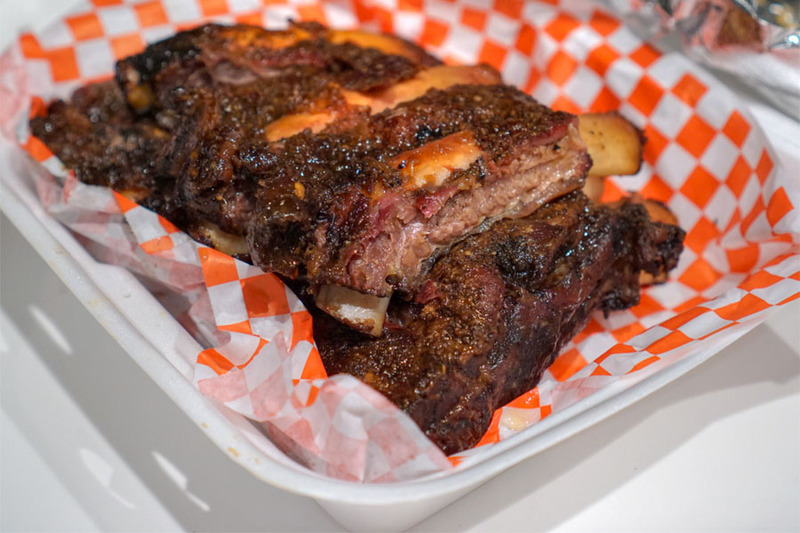 Nevertheless, The Smoking Ribs looks to be a reasonable choice for 'cue in an area that really needs it, and I do applaud Tran for opening up shop in an unconventional locale. This place is absolutely smoking!! Best bbq in Orange County located in the heart of Little Saigon on Euclid and Westminster. Very nice post! That’s a great website I have visited, thank you for your post. Food, drinks here are great, I like this place.